Our technician is wonderful! We appreciate his communication and willingness to help us. Courteous support staff, friendly, helpful. Always on time. Answers my question. Efficient Neat. Excellent service. Always on top of things. Willing to go above and beyond. We have been using the service for over 2 years and have had great results. We have had 3 different service techs and they have all been very professional. I called the company to come out and check for bed bugs. Tim came the next day, and was able to get us scheduled for a heat treatment in a timely manner. Excellent Service Austin is fantastic. We are always incredibly happy with our service. Austin is on top of it! If we have a question he has an answer and a solution. Since switching to Rottler our guest call backs in regards to pests has dramatically dropped!! Thanks for all you do Austin! We have seeb a huge difference in pest control since starting with Rottler. Kirby is amazing, extremely knowledgeable and you can tell he loves what he does. That makes such a huge difference in customer service and satisfaction. We are extremely pleased with the services and the results. It’s an excellent value for the price as well! As long as we live here we will be using Rottler for all our needs! Nick is our tech and he has always went above and beyond for our pest control needs. 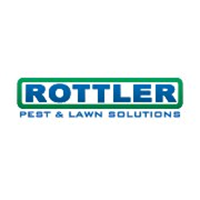 We are very happy with Rottler Pest & Lawn Solutions! They: call to set a good time to come here, arrive on schedule, take care of any problems we might have and the cost is extremely reasonable! Very nice technicians and good service ! Terrific service, great people to work with. Austin is a great technician. He does great work and has taken good care of our mole problem. Chris was very professional and friendly. He was respectful by putting on booties before entering my home. He did a through job even sweeping down spider webs on the outside of the house. These guys are great! Incredibly fast response when I reported new moles. Also blanket treatment of all moles. Very comprehensive. Absolutely amazing crew members. Totally professional from start to finish. Would highly recommend to friends and family. The technician that comes to treat the property is prompt, professional, and friendly. His name is Kirby and he is always positive with insight on any problems with pests that may arise. Thank you for arriving on time and taking care of our issues! Happy Spring! Service is effective . Service Techs. are always prompt , knowledgeable, courteous, & professional . Would wholeheartedly endorse! I always receive excellent service and professional advice when I request it. I am more than pleased with my service agent and find him to be an excellent representative of your company. Terry B. Best pest control company ever used.